exhibition at the Maryland Art Place in 2012. Irina Aristarkhova writes and lectures on comparative feminist theory, new media aesthetics, and contemporary art. She is Assistant Professor of Women’s Studies and Visual Art at Pennsylvania State University, and Visiting Professor of Gender Studies at the department of Media Art History, Danube University at Krems (Austria). Her articles have been published in Body & Society; Theory, Culture & Society; Leonardo: Journal of Arts, Sciences and Technology; Performance Research Journal; Journal of Aesthetics & Culture, and Hypatia: A Journal of Feminist Philosophy. Her book Hospitality of the Matrix: Philosophy, Biomedicine, and Culture is forthcoming from Columbia University Press in 2012. Tootsie lollipops wrapped in red and blue colors to signify the colors of the United States flag. 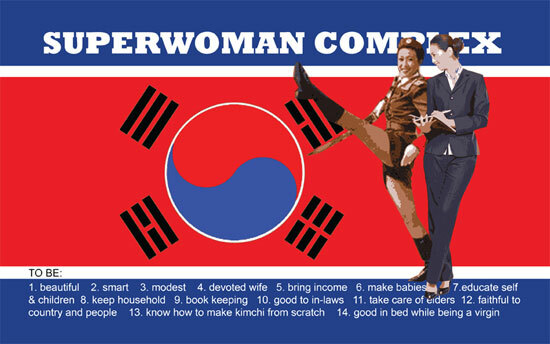 the Korean five colors of ohaeng. That piece is in the Sungkok Art Museum art collection. 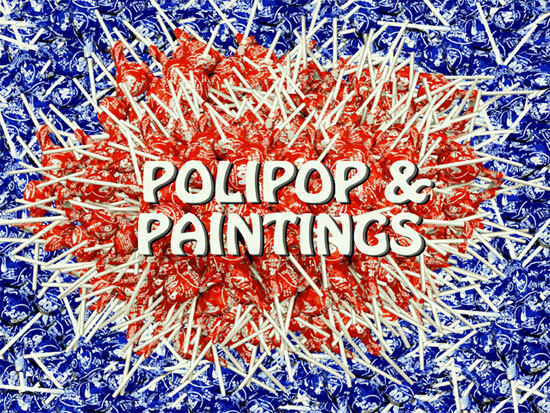 “Polipop and Paintings” is in the Maryland Art Place art collection. at Marvelli Gallery in New York. 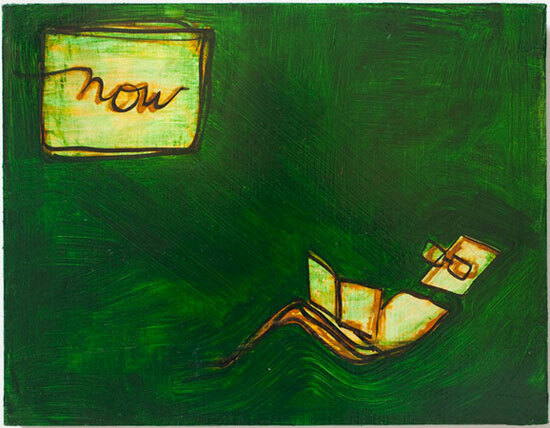 The exhibition of Mira Schor’s new paintings Voice and Speech at Marvelli Gallery in New York is inspired by an idea in Michel de Certeau’s book of theory, The Practice of Everyday Life of pre-theoretical knowledge, the knowledge of the “folkloric, the body and of craft.” Schor is a painter with an ongoing relationship between theory and art practice. It is disorienting and sometimes places the user/viewer in an uncomfortable position of expecting one or the other, not both existing simultaneously. The discourse of hybrid art practice has attained acclaim, taking place where artists are working “in between” specializations especially where attention is paid to process, creating and organizing outside of the artist’s studio while engaging in a socio-political field. 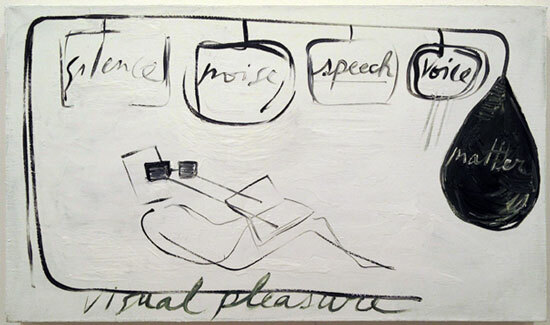 The press text says the paintings are “philosophical meditations on the place of painting in contemporary culture, on the visual artist as a thinker, on painting as a uniquely sensual space for the visualization of thought itself.” The painting surface is intimate and sensually hand-made. There is a tension between the mark of the hand in a lush painterly space and the speech or words that are also painted. While viewing the paintings at the opening, I kept thinking about brainteasers I saw recently in a magazine, with experimentation showing the left and right hemispheres of the brain being responsible for different manners of thinking. There was some of this reconciliation going on here where the right brain was trying to view the color and seductiveness of “the touch” while the left brain was busy readying the words. There is an overt and intentional play between content and form, public and private. They are thought portraits of the artist in the studio and in the world. An image of the figure/artist relating to herself and watching herself see the world. The artist is consciously viewing the world through the fabric of the self and then we see the thought coming out of the brain of the figure. During the feminism conference Schor spoke about Voice and Speech in relation to the Occupy Movement. While our freedoms of speech are gradually being stripped away, the Occupy movement is giving voice to the people waking up from a long paralysis. The metaphor of sleep and the collective dreaming of the protestors are used to engage with the idea of the dream of social change. 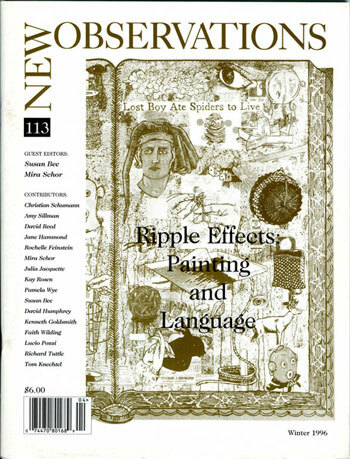 In 1996 Susan Bee and Mira Schor guest edited an issue of New Observations magazine titled, “Ripple Effects: Painting and Language. In this issue they invited some of the artists who were involved in M/E/A/N/I/N/G (an art journal they co-edited from 1986-1996) as well as others “whose art practice involves language and writing as either subject or image of their artwork or as a parallel practice, or significant source of inspiration”. There are contributions by Christian Schumann, Amy Sillman, David Reed, Jane Hammond, Rochelle Feinstein, Mira Schor, Julia Jacquette, Kay Rosen, Pamela Wye, Susan Bee, David Humphrey, Kenneth Goldsmith, Faith Wilding, Lucio Pozzi, Richard Tuttle, Tom Knechtel. At the opening Emily Cheng introduced me to Roger Denson who wrote an in depth review of the work for the Huffington Post here. 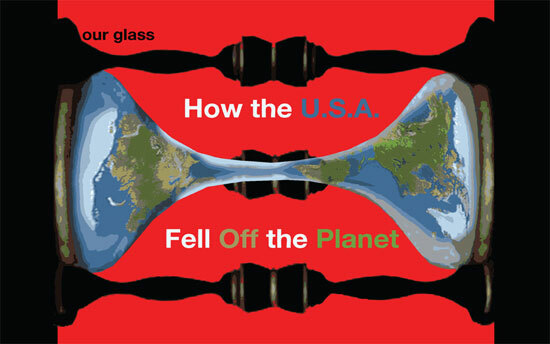 There is also a great interview with Mira Schor in two parts by Bradley Rubenstein. (Part One), (Part Two). 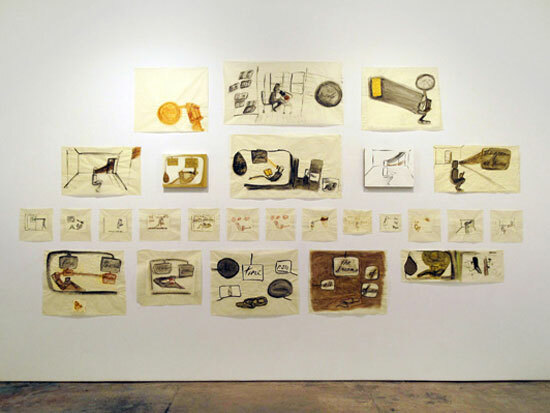 Mira Schor is an American artist, writer, editor, and educator, known for her contributions to the critical discourse on the status of painting in contemporary art and culture as well as to feminist art history and criticism. New Observations Magazine (http://newobs.org/backissues) was launched in New York City 1984 by the visual artist, Lucio Pozzi, with collectors Dorothy and Herbert Vogel. 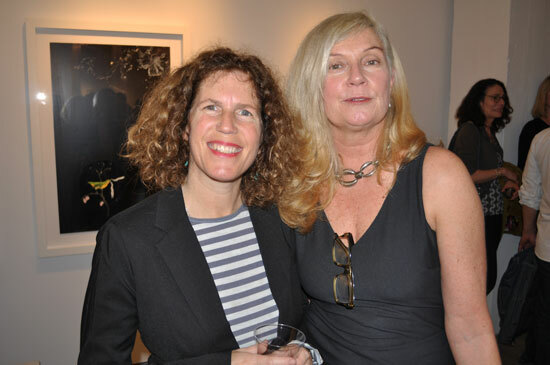 It was subsequently Trademarked under then President, Diane Karp, currently Executive Director – Santa Fe Art Institute, who has re-joined the Board of New Observations LTD. 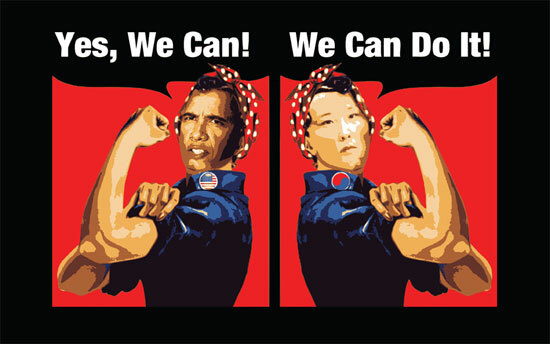 The magazine includes 128 back issues featuring many renowned visual artists speaking out as they emerged. The relaunch of the magazine was announced at the 2011 MoMA PS1 Art Book Fair and further announced at venues of PERFORMA11 in NYC through participating visual artists. 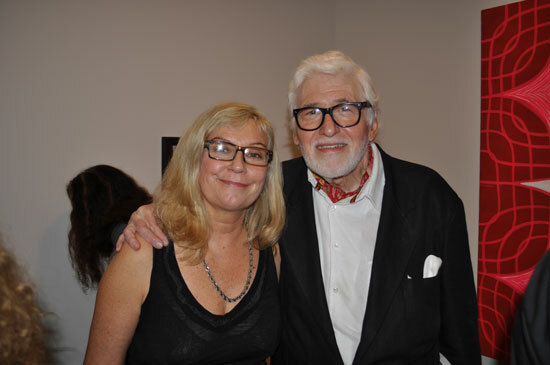 From Mira Schor’s opening I accompanied the artist/writer/palm reader Shelley Marlow to an open studio upstairs. Here among the rich painterly layers talking to me in Mary Jones Studio I learned of another exhibition exploring painting’s discourse called Little Languages/Coded Pictures. This is a two-gallery group exhibition organized by artists Theresa Hackett and Michelle Weinberg at Kathryn Markel Fine Arts in Chelsea and Lesley Heller Workspace on the Lower East Side. 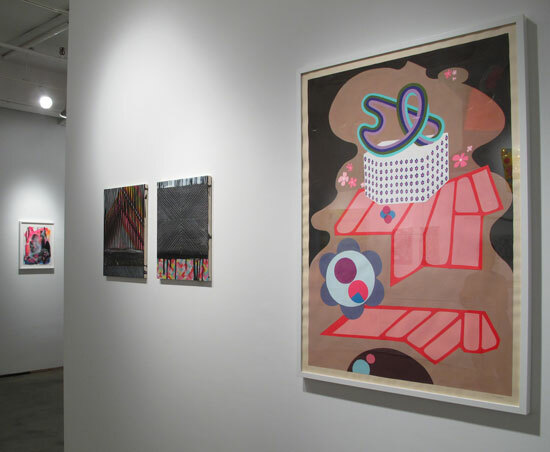 I asked the artists about the use of the two spaces and their experience organizing the shows. In this era of mediated socializing, air kissing and other detached modes of interacting, it has been a real pleasure to connect with the artists in Little Languages/Coded Pictures. Each of them make profound, solitary investigations into the viscera and materia of painting, layering this work with meaning on many levels. Bringing their works together – and bringing them together in the openings – was very rewarding. Some of them are friends and colleagues for a long time, others I met at the opening for the first time! The beauty of collaborating with Theresa Hackett is that we were synchronized with each other, in an effortless, intuitive way. Our selections of artists and works was copesetic, and still the final product of their collective works caused a chemical reaction that surprised and delighted. 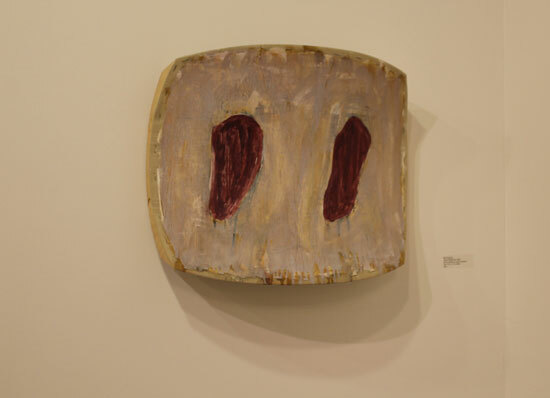 The two differences in the shows is that at Kathy Markel there is more diverse work, such as works on paper, sculptural and 3 dimensional works. 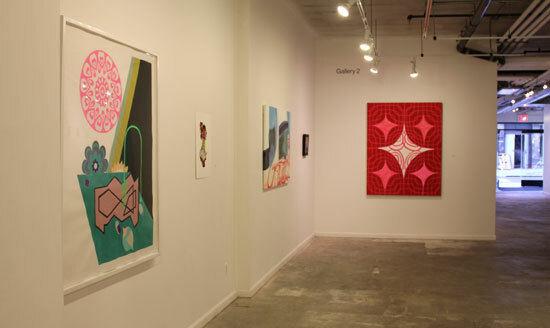 The work at Lesley Heller tends towards a tighter painting format. These shows are an extension of each other and we wanted a connection to Chelsea as well, so that the work was not all in one place. My interest and I think Michelle’s, is that there is some really good painting out there and over the years many of the artists in these shows have inspired or have connected with my (our) work in some way, it is like putting together your “Dream Team” of ideas. 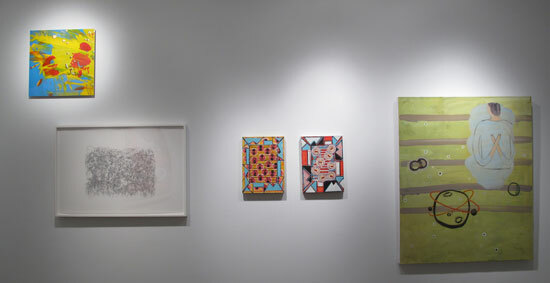 Little Languages/Coded Pictures at Lesley Heller Workspace includes painters Mike Carroll, Alan Crockett, Julie Evans, Ron Gorchov, Theresa Hackett, Sharon Horvath, David Humphrey, Margrit Lewczuk, Laura Newman, Jennifer Reeves, David Storey and Michelle Weinberg. Statement from both shows: A painter creates a lexicon. A glossolalia of marks, swerves of the brush, scrapes, dabs, drips. 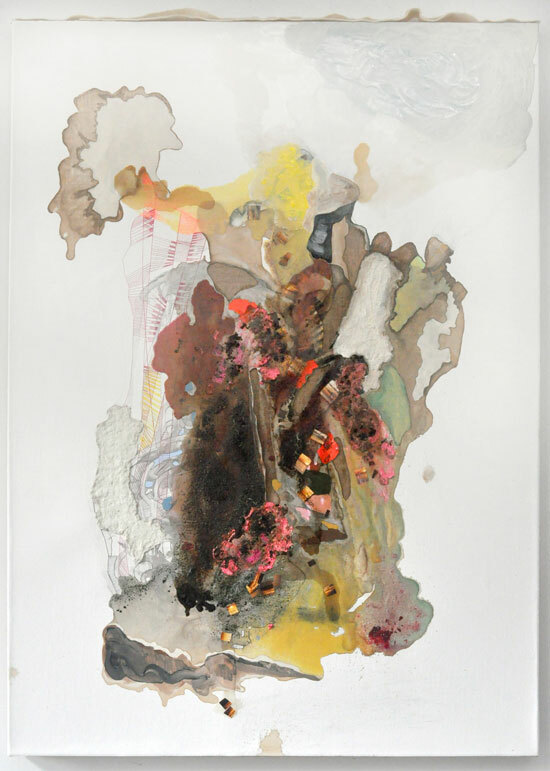 An anthology of the painter’s experience is translated into pigmented pastes of varying transparencies and densities. Application of these little languages to the surface of a painting, builds a story, intimate or epic. Of space and time, of the weight of gravity and slipping free from gravity. Pictorial space and logic is built of hermetic symbols created by the painter. One thing stands in for another. One gesture is surrogate for a single thing, or an entire range of experience. Learning to de-code the painting’s surface is part of the pleasure for the viewer. The curators selected works from artists in New York, Miami, Ohio, and from as far-flung as Helsinki. Their criteria was painterly abstractions that courted narrative, pictures that vibrated on the edge of being and representing, constructed of idiosyncratic painting languages. And at Kathryn Markel Fine Arts the artists include Diane Ayott, Julie Davidow, Nancy Friedemann, Felice Grodin, Julie Gross, Theresa Hackett, Mary Jones, Sophy Naess, Marilla Palmer, Jennifer Sanchez, Yolanda Sanchez, Hal Saulson, Suzanne Ulrich, Kristiina Uusitalo, Chuck Webster, Michelle Weinberg, Charles Yuen. Michelle Weinberg creates works in painting and collage, designs rugs, tiles, mosaic and paint murals, and other surfaces for interiors, architecture and public spaces. She is the recipient of many awards and grants including MacDowell Colony, Fine Arts Work Center in Provincetown, South Florida Cultural Consortium Fellowship in Visual & Media Art, and a FIVA Fellowship from the National Foundation for Advancement in the Arts. She has exhibited work in Miami, New York, Provincetown and internationally. She is currently Adjunct Faculty and Miami International University of Art & Design. Weinberg has a BFA from School of Visual Arts and an MFA from Tyler School of Art and works in Miami Beach and New York City. Theresa Hackett is a painter who was born in Los Angeles CA. She has had numerous one person and group exhibitions. 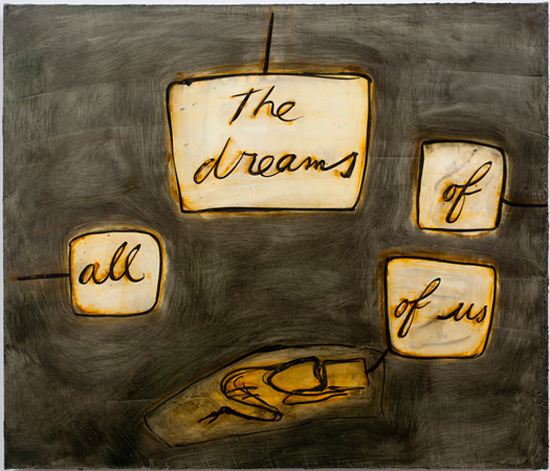 Hackett is a recipient of a Pollock Krasner Grant, NYFA and various other grants, awards and residencies, including the Venice Printmaking Studio in 2011. She has a BFA from the University of California, Santa Barbara, College of Creative Studies, and an MFA from Hunter College NY. Hackett lives and work in New York City.